Steve Pollack is Senior Staff Research Scientist at Carbon, focused on life science applications. Prior to this he was Director of the Office of Science and Engineering Laboratories (OSEL), the applied research arm of the FDA’s Center for Devices and Radiological Health, and Director of the Division of Chemistry and Materials Science within OSEL. At FDA he and his team actively promoted acceptance of 3D printing as a viable and safe technology for medical device manufacture. 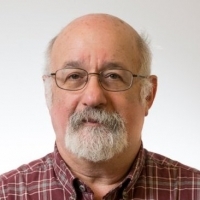 Steve brings to Carbon more than 35 years of academic, industrial, and government experience in materials and medical devices development and regulation.